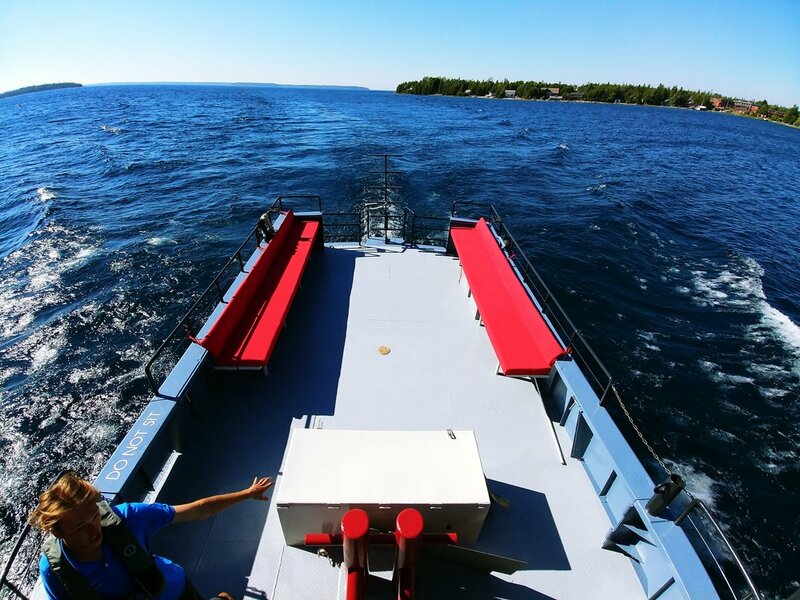 Plan your next group Scuba Diving trip with Tobermory Wave Adventures! 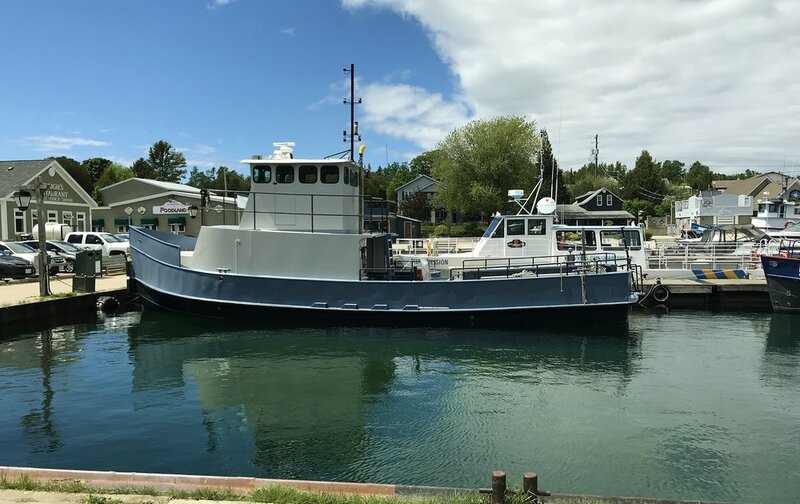 Here in Tobermory, Canada’s scuba diving capital, you will discover clear, clean water, cliffs and caves, marine life, plus more than 20 historical shipwrecks for ultimate diving opportunities! 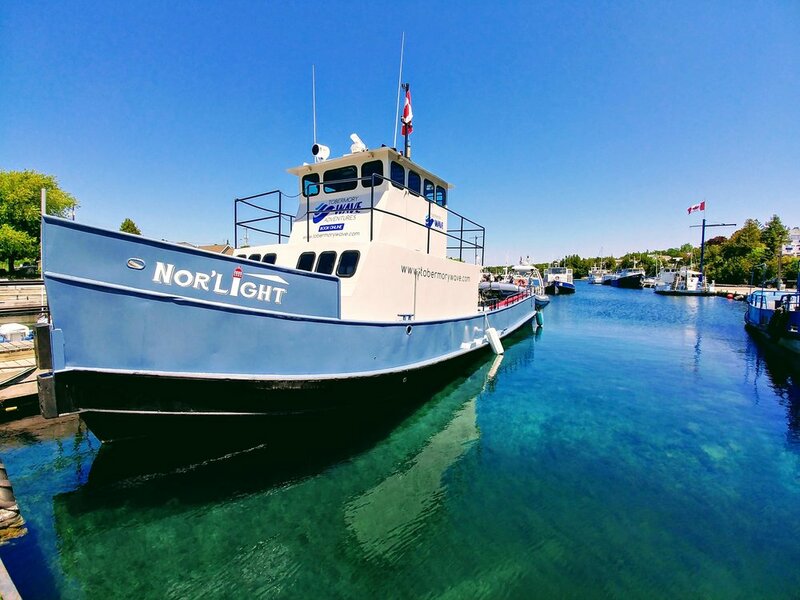 The recently renovated Nor’Light provides everything you need in a boat for the perfect scuba diving experience. The spacious deck offers an excellent platform for gearing up. Reboarding is simple with our easy climb fin on ladder. 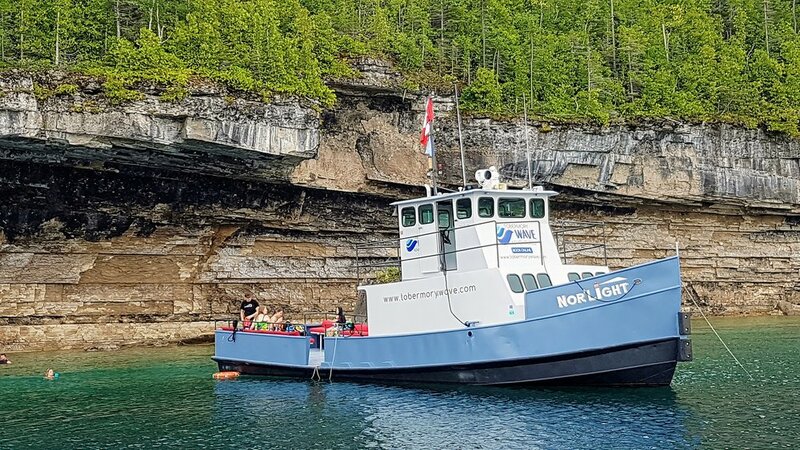 Our knowledgable crew will guide you to some of the most popular, as well as less known sites in and around Fathom Five National Marine Park. Bonus: Includes hot and cold drinks and cookies. 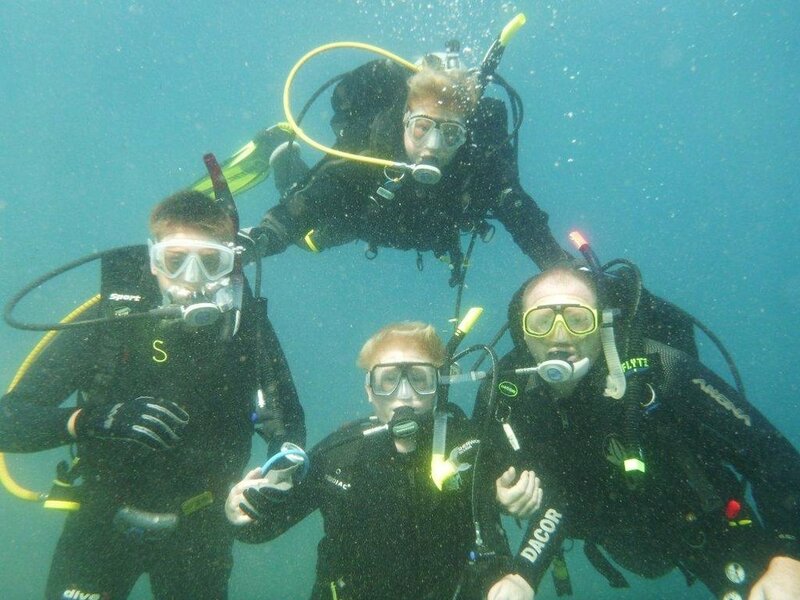 Suitable for qualified dive groups and clubs of up to 12 people. Tell us the details about your scuba diving adventure. Do you have a specific destination? Want a little bit more information? Ask us here! Thank you! A representative will contact you within 24 hours to complete your customized booking.